Perfectly soft and slightly sweet cornbread made with pure pumpkin and maple syrup. Cooking it in the slow cooker adds moisture and frees up your oven. I can’t think of anything more comforting than a nice big bowl of hot soup or chili once the weather gets cooler. My kiddos were sick this week so along with plenty of snuggles, I was also armed with lots of soup and cornbread. My kids LOVE cornbread especially this butternut squash version I made last year which has quickly become a reader favorite. I had a few questions on how exactly cornbread can be made in a slow cooker so I thought it would be more helpful to show you again exactly how it’s done. But instead of butternut squash and honey like the original version, I wanted to change things up a bit by using pumpkin and maple syrup this time around. My husband is a huge fan of quick tutorial videos on YouTube and has been urging me to make some recipe videos for the longest time soooo we finally made it happen. Making cornbread in the slow cooker along with buttermilk and pumpkin in the batter helps to keep it wonderfully soft and tender. The flavor is terrific on its own but also pairs perfectly with a big bowl of chili or enjoy it slathered with some butter. Line the slow cooker with aluminum foil. Spray the foil with non-stick cooking spray. In a medium bowl, whisk together the flour, cornmeal, baking powder, and salt. In a large bowl, whisk together the melted butter with maple syrup. Beat in egg until incorporated. Whisk in pumpkin puree and then the buttermilk. Pour batter into the lined slow cooker and smooth down with an offset spatula. Place lid on top. Cook on low for 3-1/2 to 4 hours or on high for 1.5-2 hours or until edges are golden and a toothpick inserted into the center comes out clean. (The time may be slightly different depending on your slow cooker - mine took 1.5 hours). Once cooked, lift entire foil with cornbread out from the slow cooker and let cool for 10 minutes. Cut and serve with chili, maple syrup or your favorite buttery spread. Wrap in plastic wrap and place in an airtight container for up to 2 days. **To make your own buttermilk, add 1 tablespoon of vinegar or lemon juice to a cup of milk and let it sit for about 5 minutes - until it's curdled. Then measure out the amount needed for this recipe. Cornbread is best enjoyed the same day but it will still remain soft for the next 2 days. Make sure you wrap it tightly with plastic wrap or cover in an airtight container overnight. I make this in a 5-quart slow cooker. Kelly, oh my gawd, I LOVE the video!!!!!! you and your husband did a GREAT job!!!!! Wow, I love it! and the music too! and cornbread in the slow cooker?! oh my goodness, I love this so much! Kelly, you are just the cutest! I absolutely love your video! And this cornbread looks absolutely amazing. I have no willpower when it comes to cornbread, so I think I would devour this in no time! Only this fall did I become obsessed with pumpkin cornbread! I seriously won’t even eat any other kind now! 😉 Next time, I am so making it in my crockpot because seriously, that’s just genius! Such a great video too, girl! Happy Friday. I love the video – you did SUCH a great job. I really need to start getting in to videos. Can you believe that I have never had cornbread? I need to try some soon. And you are the queen of the slow-cooker! 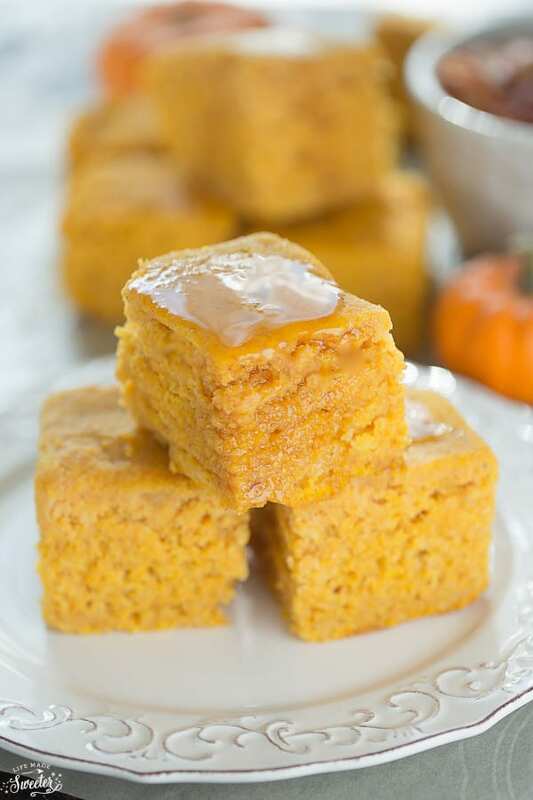 Pumpkin maple cornbread looks so moist and sounds so tasty! Great recipe! Congrats on your first video! How fun! 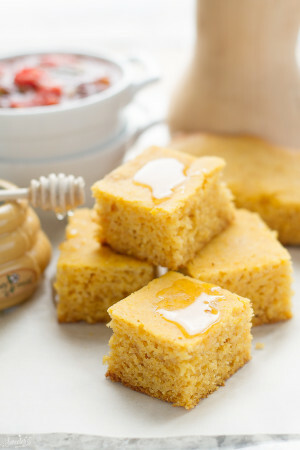 I love the flavors in this cornbread and it looks ridiculously moist!!! Love! Hi Kelly, your video was fantastic, loved the music too! Congrats on your first video, Kelly! Looking forward to seeing many more of these in the future! And love, love, love the slow cooker cornbread. Swoon!! Loved the video! You did great! I hope to see many more. 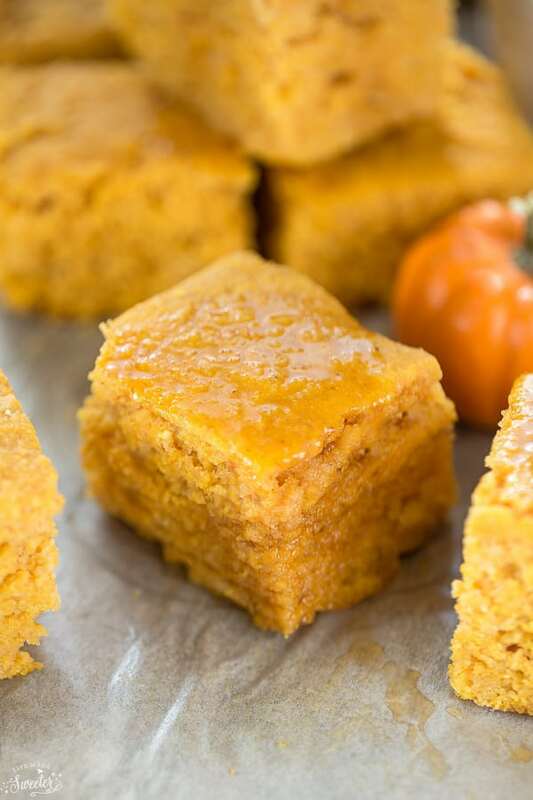 And this pumpkin maple cornbread sounds out of this world!! This is made in slow cooker?? Wow..it looks incredibly moist and delicious. A great video, Kelly. I LOVE corn bread. Corn bread and chili are just one of those combos that go!! But we had pumpkin chili a couple weeks ago and I’m so wishing I had had this amazing corn bread to go with it too. I mean, come on!! That looks incredible! Your video is AWESOME, Kelly!!! I tried making one like that last week and it was such a fail, lol. I’m jealous you have a hubby to help you! Haha. I’ve only had my slow cooker for about a month or two now and I’ve only made a few things in it, definitely nothing like cornbread. This is so intriguing! Definitely gotta try it out. Pinned! This cornbread looks so easy and delicious! I love the video too!! Can’t wait to see more in the future. I’ve never thought of making a bread in the slow cooker before! Great idea and the addition of the pumpkin to a recipe like this sounds delicious. Woo! 🙂 Yay for your 1st video! And this cornbread looks absolutely incredible!! 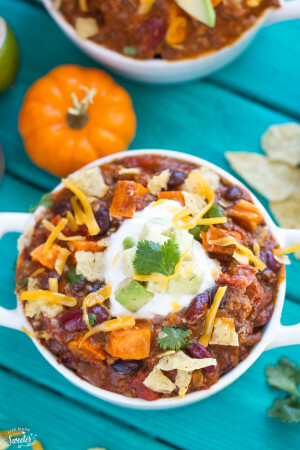 So perfect for chili night! Pinned! I love your video and need to make slow cooker corn bread ASAP! The pumpkin maple flavors sound amazing, too. Hope your kiddos are feeling better, Kelly, and have a lovely weekend! I love the video Kelly! It’s so cute and especially the music that goes along with it. This cornbread looks awesome, love the pumpkin and maple flavours together and I especially love that it all gets cooked in a slow cooker. I bet it made your house smell so nice for hours!! I loved your video! Congrats friend! Just fabulous! And so is this pumpkin maple cornbread. So smart making it in the slow cooker! This was made in the slow cooker?? Yum!! Also, congrats on the first video! Awesome video, girl! And maple corn bread in the slow cooker sounds fantastic! Wowza! This cornbread is so moist and delicious looking! I’m craving a piece right now! And your video…another Wowza! I loved it! The music, the colors, and of course, the recipe! Well done, Kelly!!! Wow this cornbread looks fantastic! I am a big fan of cornbread but never knew you could make it in the slow cooker! Great video as well! Way to go with the video, Kelly! I love it and this cornbread looks incredible. I have never cooked cornbread in a slow cooker but I definitely need to try this. I love the pumpkin flavor too! This cornbread looks fantastic! Congrats on the video Kelly! Love it! Great video, Kelly! I hope you do more! 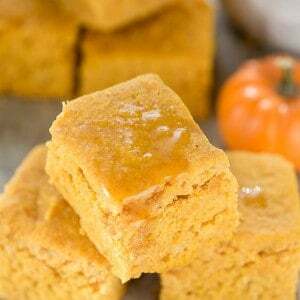 This pumpkin and maple syrup version is a great twist on cornbread. It looks delicious and super moist! Congrats on your first video! Your video is SOOO CUTE!! It makes me want to whip out my slow cooker and make this cornbread tonight! That could also be because you combined 2 of my favorite things: pumpkin and cornbread! Pinned! Congrats on the AWESOME video! It’s so perfect! 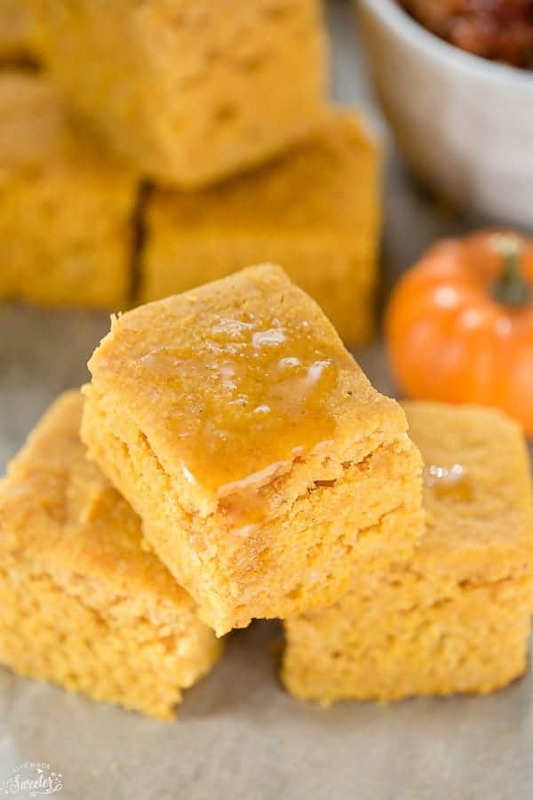 And I’m LOVING the combo of pumpkin + cornbread = YUM!! Ahh these look fantastic!! I can’t believe you made them in a slow cooker! Your video was great – I loved watching the process. 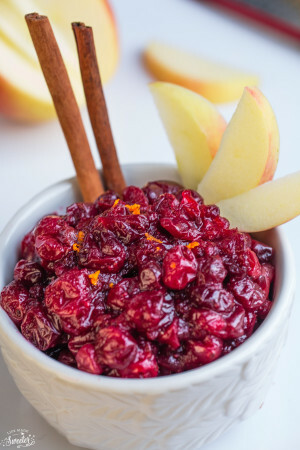 I love how easy these are and they look absolutely delicious! LOVE the video Kelly! Easy and so delicious, everyone will want to grab a bit of this bread! Congratulations on your first video, it was brilliant. Well done to you and the hubs 😀 And this recipe looks amazing I love cornbread as well.